Alex was great to work with! Great communication and our ad was installed yesterday and looks great! I highly recommend Alex and the staff at Adcorp! - Steve T.
I had the pleasure of working with Peter Broccole and Will Schalda. Both were an absolute pleasure to work with. They were very professional, responsive, and talented. I was happy with their work and would recommend them to friends and family. - JoAnna E.
Will was a pleasure to work with - great insight into marketing, and really cares about his clients and the message the ads he designs portray. Great advice and clean, classy advertisement! We're very happy. - Mandy F.
Molly at Adcorp was the best. She was responsive, polite and professional. She definitely has a great eye for marketing...She made it a very seamless process, and look forward to seeing our ad in action! Thanks Molly! - Keith R. S.
I'm a media planner/buyer and I recently worked with Will and Peter on a campaign for one of my clients. They are great to work with! They are very responsive and I like how they are willing to be flexible. I will definitely be contacting them again in the near future and I highly recommend Adcorp Media to anyone looking to do supermarket advertising. - Jeremy S.
I have to say this experience has been great from the sales rep to working with the graphic designer. Molly is fantastic. Thank you for your help Adcorp!! - Carlos B. Great Job! Molly helped our company to create a beautiful and good quality ad. She was patient and able to give me suggestions. - Henry C.
Alex Patrick in the Graphics department of Adcorp did a great job tweaking the advertising graphics for a Shopping cart our insurance agency is running in our local market. Looks Great! Thanks Alex! - John D.
Adcorp Media Group is GREAT! We have been repeat clients for many years and it's always a pleasure. The entire team is fantastic to work with from start to finish. Our designer Molly is super talented, knowledgeable and gets the job done in a timely manner. Looking forward to our continued business relationship! THANK YOU! - Walter W.
I worked with Will Schalda to produce an ad to run in our local supermarket. He listened to what I was hoping to achieve and provided a creative and useful product. Will also was very patient as we tweaked the final product. It was a pleasure dealing with Will. - Gary G.
Molly Klein at Adcorp was great! 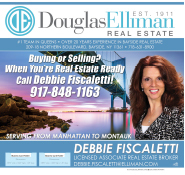 I am a realtor and she designed my ad which will be displayed soon. 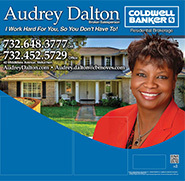 She is talented, responsive, accommodating, and was a pleasure to work with! Thank you Molly! - Rich L.
I highly recommend these guys, Will was able to get everything done on the first try and in one day, couldn't be any happier! - Steven S.
Alex at Adcorp was very helpful, and tentative to the ad I was looking to accomplish. He did everything in a lightning fast time frame, and produced my ideal ad. Alex took my vision, and made it a reality, and was accommodating throughout the whole process. - Ruben N.
I had an amazing experience with Will from Ad Corp. he was very professional and made me a video that far exceed my expectations! - Joseph P.
They do amazing work. They make very professional looking advertisements. Molly (graphic designer and photographer) was very friendly and helpful. - Hero I. We have been extremely happy with this company. They answer all our questions and are always polite and helpful. They come up with ideas that we didn't think of to help our business. Great customer service - Barry P.
Our company Fred Astaire Orange was working with Adcorp Media Group and we are super satisfied and we would definitely recommend them especially Will that was working with us. 10 stars! - Stefan Z.
Adcorp made the process of creating my ad simple, quick and stress free! They were great with communication, answering every phone call and email promptly. Adcorp is detail orientated and perfected my ad design. I can't to see the design come to life in May 2018. It was a pleasure to working with them! - Vincent P.
This is our second time working with this company and they have been fantastic. Very professional and courteous. - Lenny K.
I have had a great experience working with Adcorp. I have been so satisfied with the process and product I have continued to use them for over five years. I highly recommend working with Adcorp! - Kathy B.
Adcorp is so responsive and homely. Everyone I spoke to was very kind. I worked specifically with Molly, what a doll! For such a big organization, it is amazing how they maintain their levels of professionalism and friendly feel. So excited for our ad too! - Joseph L.
Great experience with this company! They were very prompt with their responses to me and created my ad exactly how I wanted it to be. Highly recommend this company! - Nancy K.
This company does a good job incorporating your design ideas into the ad. I can't wait to see it live! - Thomas P.
Easy to work with and made quick changes when necessary! We love how our add turned out! - Ashley S.
I have been using Adcorp for placements in Park Slope and it is a great service. I highly recommend them! - Joanna M.
Adcorp media is a pleasure to deal with, they made the process of advertising with them easy, the contract is clear and precise. They communicate well with you from the beginning to the end. Our company is most pleased with them and the guy who helped with our video, Will, paid attention to detail when it came to editing our video and made sure we were happy with the end result. I highly recommend this company! Warren Thompson & Son Roofing & Siding - Lynda N.
Quick turn around time and excellent customer support made this process very simple! - Joy C.
Alex Patrick was the graphics genius that helped us put our ad together. As Realtors, we do quite a lot of marketing that requires working with designers. Patrick is the best we've ever had the pleasure to work with. He was accessible to us as well as responsive and he took the time to listen to what we wanted and worked with us to produce a fantastic video. I would highly recommend that anybody advertising with this company do their best to have Alex Patrick as their designer ! 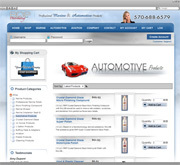 - Lauren M.
I found Ad Corp to be very friendly, professional, and knowledgeable. Their staff has been very attentive to my needs and wants and I am certain the service they are providing will pay off with a solid ROI! - Paul G.
I am very happy. The customer service I received was outstanding. I was not easy to work with I am sure. I find it hard to make up my mind and need the help of the trained eye to ask me the right questions in order for my decision to be final. The Video turned out great. 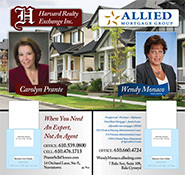 - Joann D.
We are very pleased with the short video ad that Adcorp produced for our company, ML Murdy Co. Working with them was an easy and pleasurable experience and everyone we spoke with was extremely professional and responsive. I highly recommend their services. 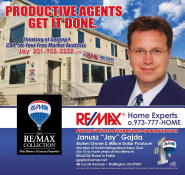 - Mike M.
Very professional, pleasant and responsive - I love how the customized ad came out! - Debbie M.
I am very pleased with the motion graphics advertisement ad that was developed by Adcorp Media Group for my company, the James Hunt Funeral Home. All the representatives of the company were very professional, and the graphic design organization was terrific. I highly recommend the services of this company. - Xenia W.
My experience working with Adcorp Media Group was excellent! Everyone I have dealt with has been extremely responsive and they have all gone out of there way to make sure that I was satisfied with the process and the product. They created a 15 second infomercial for my business and everyone that has seen it thus far has loved it. Thanks again and I look forward to working with you again in the future! - Jay Bell. We received such great services with ADCORP Media. The staff was very professional, knowledgable and consistent. We had a good eperience as a first time business. The website , business cards, and logo design were presented to us in a timely manner. The communication was great through phone and emails. We were very thankful for having frequent meetings to really sit and talk about our future plans. Adcorp did a phenomenal job, we were glad we chose them. - Chynna A. From the Sales rep, to the Support team, to the Design team, I was very happy with the communication during the process as well as the efficient pace at which we moved from concept to completion. These folks are an Class A organization. - Dominic D.
My experience with AdCorp has been wonderful. Great products, turn around time for change was so fast. Couldn't be happier! - Donna B. This was a great experience for us. Everyone was quick and very helpful. They had our ad up and running in no time and were very accommodating to our requests! - J Vincent Jewelers - Meaghan H.
After working with this company on several grocery store programs, I must say they are a pleasure to work with and get the job done! 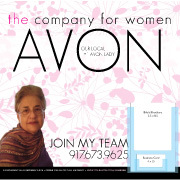 I would recommend this company to anyone interested in increasing their marketing exposure. Thank you from this HAPPY client. - Matt W.
I was shocked at how well Adcorp's customer service handled my advertising. The graphic design on my sign was great. I went to the Shoprite store to see it. Low and behold, there I was on a huge sign at the entrance. Kind of took my breath away. That was in November. Since then, most times I go shopping at the store with my wife, people will ask me, "Are you the Realtor on the sign?" I always have cards with me and I tell them yes, please give me a call. I have only written a few reviews online for products or services but this agency defiantly deserved one! Great job to all who helped me build my business. - Brian T.
Choosing Adcorp Media Group has been the best decision that I could have made for me, my family, and my Health and Wellness business located in Fairfield County Connecticut. The experts at Adcorp are extremely skilled, patient, energetic, positive and extremely knowledgeable on how to get your business to that next level. The quality of work that comes out of this enterprise is mind blowing to say the least. Thank you Adcorp for taking my business to new heights!! I will continue to recommend your company to anyone who is looking improve their business! - Born Ready Fitness - Michael G.
Adcorp is Great! I have been with Peter for 10 years now. I love advertising on the shopping carts and would suggest that anyone who wants to get your business noticed in your community should call Adcorp and ask to speak to Brian Waliszewski. In business you have to spend money to make money. You have to advertise if you want people to find you. These guys are the best at what they do, period! - John C.
"I'm very excited to be involved with supermarket advertising with Adcorp - It's a first for The Island Shop! Thank you to Adcorp and my designer, Maria. 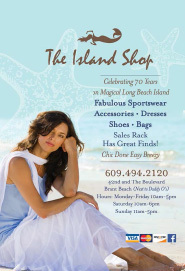 She created a first class ad for The Island Shop." "I had a very positive experience with Adcorp Media Group. My graphic designer, Andrew, was very accommodating and helpful and made some good design suggestions. 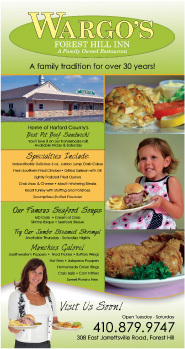 I'm happy with the end result...my Welcome Center ad in the Shoprite looks great!" ks again, "
" Let me say that working with Adcorp with Linda as my sales rep, and Andrew as my graphic designer has been nothing short of a Wonderful Experience for me. They were both attentive to my requests and my concerns. I was so pleased to have them both on my team. They both did an AMAZING JOB!!! "The sales rep explained the program and it made sense. I wanted the exposure that the ad will generate. 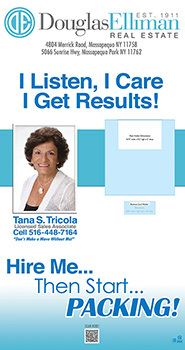 I absolutely LOVE the ad, and it was installed on time"
"What I like best about the Welcome Center program is the opportunity to distribute materials like my business card and listing sheets and any other marketing materials I have. It's like a marketing center for me. I feel the Welcome Center program is an effective way to brand myself and gets me great exposure. Clients who call me said they've seen my ad!" "I added supermarket media to my advertising plan as I felt the main benefit was that I could 'speak' directly to the decision maker when it comes to buying or selling a home, which is typically the woman. And, being able to choose the supermarket in my area where I do most of my real estate business just makes perfect sense. If I'm out in a restaurant and people will come up to me and say 'I saw your ad at the Shoprite'... you really can't beat that!" " Peter.....you and your TEAM of employees that I have deal with are the BEST! Thank you for excellent service. " " My husband and I wanted to try something different in advertising, so we thought we'd try Adcorp. The staff helped us design an ad that looks great in our local grocery store. I was impressed with the staff at Adcorp, very professional and helpful. We are already seeing positive results with this ad." 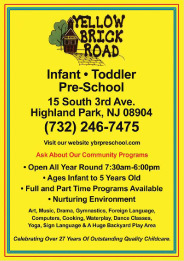 " My name is Grace Puleo and I am the Owner and Director of Yellow Brick Road Preschool in Highland Park NJ. Several years ago I decided to advertise the Preschool on the shopping carts in our local supermarket. I thought what better place to have parents see the name of the school than the seat of the shopping cart. Adcorp Media Group was the company supplying the ads on the shopping carts. A sales representive came to the school, and we were able to put a advertising package to fit the needs and budget of the school. I was very impressed with the design the art department came up with, and I received many compliments from people who have seen the carts. It was a smart move on my part to use the shopping carts as a means of advertising because it really branded us in the town. Overall, I have had a great experience with Adcorp Media Group. They are professional, courteous and easy to work with. I would highly recommend them for any advertising needs." " I'm very happy with my Adcorp Experience. The ad is beautiful, the service was prompt with no hassles. Working with Chelsea from Customer Service was very pleasant and was extremely helpful whenever I contacted Adcorp. " "I have had such a positive experience working with Lisa Lindsay and her team at Adcorp. We have been working together for about 2 years which has involved the re-branding of our business, redesigning of my blog and launching a brand-new website and logo. 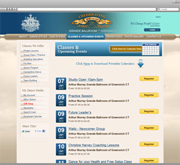 They have been professional, responsive and easy to work with. They continue to offer on-going consultative services which is helping to move my business, Dynamic Kids to the next level. Our business has grown by leaps and bounds and we highly recommend them for all types of businesses." "We received such great services with ADCORP Media. The staff was very professional, knowledgable and consistent. We had a good eperience as a first time business. The website , business cards, and logo design were presented to us in a timely manner. The communication was great through phone and emails. We were very thankful for having frequent meetings to really sit and talk about our future plans. Adcorp did a phenomenal job, we were glad we chose them." "My website is great. So many people comment on how clean and easy to get around it is. AMG is the best! They recommended things I never would think of. AMG's ideas worked out so well, our business grew! " " Thinking outside the box does not begin to describe the journey we embarked upon in creating a website that would not only change the face of my company, but do it in such a way as to attract the greatest number of appropriate visitors that we could. I am so proud of the finished product, and get so many compliments on it, its really extraordinary. The franchise I took over languished for the last two years, but within one month of the launch of my new Adcorp Media Group designed site, I received just under 1,200 hits, and dozens of inquiries. I am now on the map. I have already recommended Adcorp Media Group to everyone I know and come in contact with, as they can all benefit from consulting with Adcorp Media Group on both their existing and future websites. " Copyright © 2019 Northeast Advertising Corp. All Rights Reserved.